Two members of the Foreign Relations Committee of the House of Representatives United States asked the Organization Trump if he was aware of allegations that real estate brokers and investors involved in the Trump Ocean Club project in Panama, had links to money laundering and drug trafficking. Democratic MPs Eliot Engel and Norma Torres sent the letter, seen by Reuters, to Trump Organization General Counsel Alan Garten on Wednesday night. They asked what audit was done on the investors and brokers involved in the project, which earned US $ 30 million to $ 50 million from US President Donald Trump for lending his name to the venture, according to court records. Garten wrote in an email Thursday that he had not received the letter from Torres and Engel. Torres and Engel largely based the questions in their letter on the findings of a Reuters investigation into the Trump Ocean Club published in November in conjunction with the US broadcaster NBC News. 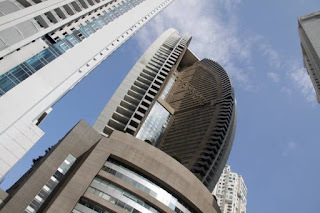 "Given the widely publicized allegations of money laundering and drug trafficking in connection with the Trump Ocean Club Panama, we believe it is imperative to understand the Trump Organization's knowledge and role in the sales of this property," wrote deputies. They asked if the Trump Organization was ever aware that "any agent or investor involved with the Trump Ocean Club was involved in money laundering or illegal trafficking in narcotics," and if so, whether they had reported the case to authorities of the United States or Panama and concluded commercial agreements with any suspect. Reuters research found that Brazilian Alexandre Ventura Nogueira was responsible for between a third and a half of the pre-sales of the Trump Panama project, completed in 2011. Nogueira is under investigation in Brazil for international money laundering. The investigation began in 2013 after the Finance Ministry's financial crimes unit identified several transfers of more than 1 million reais from Panama accounts to its accounts in Brazil. In an interview with Reuters in November, Nogueira denied having committed any infraction in Brazil. He said he discovered only after the Trump Ocean Club project was almost completed that some of his partners and investors in the venture were criminals, including some with what he described as connections with the "Russian mafia." Nogueira, whose whereabouts is unknown, said he had not consciously laundered any money through the Trump bill, although he said he later laundered money in other schemes for corrupt Panamanian officials. In November, Garten said, "No one in the Trump Organization, including the Trump family, has any recollection of having met or talked to this individual." Torres and Engel wrote in their letter that getting answers from the Trump Organization about the Panama project is "essential as we conduct oversight of US policy toward Latin America and the Caribbean." They said they wanted to make sure Trump was "completely committed to the goal of dismantling the transnational criminal organizations that are responsible for trafficking drugs to the United States." "If the president, in a previous role, did not take reasonable steps to prevent money laundering of drugs, would be of great concern to us," said the politicians in the letter.